Who is the AEGEE member of the year 2016? Which antenna, which project was the best? The Golden Times asked more than 70 locally or Europeanly active members. In the second edition: read what said Philipp Blum, Carolina Beatriz Alfano, Romy Cartiere, Willem Laurentzen and Laura Pérez said. Philipp Blum: My highlight was NWM Manchester, where I had more fun than probably on any other event and where I met great people. Being thanked for the work in SUCT was probably my second highlight. Appreciation in AEGEE is lacking, and it feels good to get some. Philipp: I think the year has been rather calm, though I remember the statement of the Network Commission in Bergamo, as well as the fuss about the voting in Chisinau. It shows me once again how we are a democracy, moreover volunteers, and the pros and cons of both. Philipp: Damien Latacz for his constant personal and professional help and Tim Mollenhauer for questioning current structures of AEGEE-Aachen. Philipp: I would like to mention my own antenna, AEGEE-Aachen. Not for being the best, but for continuous challenges and improvements we try to give ourselves. We already took care of Erasmus Students, but now we pushed for organizing a whole introduction week. We already used Google Drive, but we completely transitioned to G Suite – previously known as Google Apps. We got a camera, and are now trying to produce videos of bigger events or projects. Also the complete local structure with working groups is questioned. It shows me that no matter how big, small or how professional your antenna is, there’s always room for improvement. It continuously challenges the members to learn and grow. In addition, I would like to thank the locals that did any activities with refugees, and the locals in Turkey that kept doing their Summer University despite the problems they had. Philipp: The Mediation Commission and their work have impressed me. Maybe because I had not worked with them before, but I really appreciate their input on various topics. Philipp: The much welcomed dead of Intranet! Philipp: To be on my first training event as a trainer at a SUPS, give multiple sessions and challenge myself. Furthermore, to improve the Summer University website and finally visit the SU of my dreams! Carolina Alfano: My personal SUCT trip was amazing. 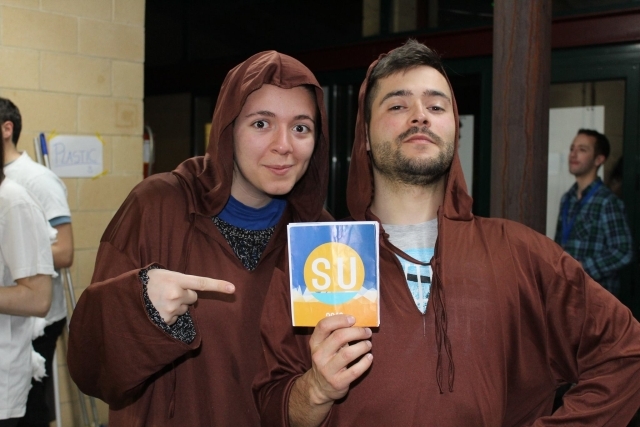 During this one year it was incredible for me to work for the SUs, but it was much more important, interesting, and wonderful to actually go there and see the real work of local organisers. Carolina: The funny discussion about the Schultze Method during Agora Chisinau. Carolina: Philipp Blum for the hashtag #blumtoblame and Luca Bisignini for the hashtag #catsandcash. PS: I’m #sarcastic. Carolina: AEGEE-Agrigento, AEGEE-Eskisehir and AEGEE-Udine. Carolina: My attention in 2016 was focused on the SU project, and as Carolina and as SUCT member I can say that we really changed a lot and we really did a great work, also with the support and the help of the SUpporters IG. Carolina: Mmmm… Agora Catania!! Because they always surprised me! Carolina: I just started my term as Subcommissioner of Gabriele Scollo, the new NetCom for the Rainbow area. I am also part of the HRC and SUpporters IG: so I’ll dedicate my time improving the Network, SU and HR. Carolina: I have the secret plan to conquer the world with Abis-Bettin-Gregis in one of the most beautiful cities of Italy! Romy Cartiere: Seeing the new Focus Area Equal Rights being selected in Chisinau! I wrote a proposal for a new Focus Area about LGBT+ rights and gender equality with the support of the LGBT+ Interest Group and the Gender Equality IG. First it was quite specific, and I’m glad that through the Ideas Factory in León and through consultation with the network it has become what it is now: a Focus Area that tackles discrimination from a broad perspective, but still shows that AEGEE is willing to take a stand and reflects that we care about the topic of discrimination on the basis of gender identity, gender expression, sexual orientation and about gender equality! It was very encouraging to see a large group of active AEGEEans make a case for this Focus Area in Chisinau and to see that it ended up first place. I am looking forward to the next three years! Romy: Luca Bisighini has done an outstanding amount of good work for the Migration Interest Group and I have great confidence in his Audit Commissioner skills. #catsandcash! Romy: We can bow for AEGEE-Chisinau. AEGEE-Bergamo organized an enormous Agora really well, but what AEGEE-Chisinau set up with the small amount of manpower they had is truly inspiring. I want a shout out to Andrei Dodita as well, who impressed me a lot during the Agora! Especially after hearing how much effort he put into organizing the event and about the sacrifices he made, I believe he should receive the Golden Medal of Agora Organizers this year. Romy: Absolutely the European Citizens’ Initiative “More than education” by the Civic Education Working Group. It is unbelievable what an achievement this is, and already worth the effort, even if the one million signatures is not reached in the end. It would be the icing on the cake though if we reach those one million signatures and can present the importance of civic education to the European Commission. So I encourage everyone to share the online form or to even actively collect signatures on the streets! Romy: Another pressing issue that came up during the Agora in Chisinau is related to the new EPM topic that was chosen there: “Europe under Siege – Populism and Anti-European Agitation”. I think we need to urgently address the phenomenon of anti-European and rightwing populism. France, the Netherlands, Germany, Hungary and more countries have important elections taking place in 2017, and all of them have far-right populist parties that have gained in popularity in an alarming fashion over the last two years. It seems like a train that can’t be stopped, but it is our duty to be aware of these developments and to be the voice of reason in a time of enticed fear. Romy: I wish to remain active in the Migration Interest Group, the LGBT+ Interest Group and the Society and the Environment Interest Group. This is dependent on whether I get elected as the European Affairs Responsible in the board of AEGEE-Amsterdam or not! In any case, you will find me at the EPM, coming Agoras and other interesting AEGEE-Europe events that I manage to attend despite my ties to Amsterdam. And last, but not least, I am organizing the – if I may say so – amazing event “Whatever Floats Your Rainboat” that takes place in January from 23 to 27 January in Amsterdam. There’s a few spots left, just sayin’! Romy: In Kraków, together with my best friend and recent AEGEE member and another 100 AEGEEans! Willem Laurentzen: Many people state that AEGEE is all about life-changing events, and while a lot of them were impactful, I can think of only one that has been life changing for me. This was a talk I had with someone now very dear to me on the stairs of a cottage in the Apuseni mountains. Of all the fantastic and improbable stuff that I did and that did happen to me this past year, this one talk made me more humble, caring and awestruck than anything else that year, and greatly changed how I thought about my life and the people in it. Willem: When I was almost hospitalised at the Agora, I needed someone to take over from me at the fair. Nobody in my team was available, and the only one left to ask was Violeta Croitoru. At that point, she was in AEGEE for less than a year and she had already been elected president of AEGEE-Iasi a month before. She didn’t hesitate to take over our stand. And she ran it like she manages AEGEE-Iasi: like a boss. You need to keep an eye on her, she will definitely amaze you in 2017. Willem: First, Oğuz Kaan Kahraman, AEGEE-Istanbul. He already started this year on a high note, when he was elected member of the month of February for his contributions to the “Your Vision for EUrope” project. However, this was even before he reached his finest hour this year, as he was greatly involved in ensuring the safety of the participants of AEGEE-Istanbul’s SU, while a coup d’état was taking place in that city. Second, Elena Efremova, AEGEE-Rostov-na-Donu. She is incredibly active on so many fronts, at her own local, working in ACT, travelling across Europe, being part of the Youth Mobility Working Group, leaving likes and promoting stuff all over social media… Every time you hear something about her, she turns out to be involved in something you didn’t know before: damn impressive. 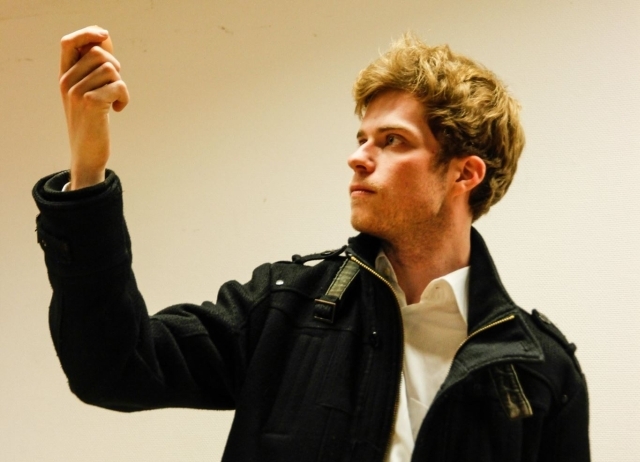 Third, Maarten de Groot, AEGEE-Amsterdam, and actually the rest of the core team of “Think Before You Vink” as well. Early in 2016, Dutch members of AEGEE formed this political neutral group to get as many people out there as possible to vote for the Dutch referendum on the Ukraine-European Union Association Agreement. It was an honour and a privilege to be part of the general team. Willem: AEGEE-Cluj-Napoca. This local is always up to doing something great, and its members possess an incredibly warm and kind mindset. In 2016 alone, they hosted the Franck Biancheri Award Conference “Borderless Europe: Blessing or Burden?”, organised one of the best SUs that year, and set up several slick promotional campaigns for themselves, their activities and those of AEGEE-Europe. Also AEGEE-Chişinău. They achieve incredible feats with a fairly small amount of members, like the Agora, but what is truly remarkable is that they organised the Agora with the assistance of loads of helpers from all over Europe, making it a truly European project. Willem: The Culture Interest Group. They attempted to set up a pan-European theatrical production, called “Europe Goes on Stage”, which would have been great for the network, because theatre furthers social cohesion, stimulates the psychological development of both player and viewer, and this project would bring more culturally oriented members from the local to the European stage. In addition, please write me down for a shout-out to my own team at The AEGEEan. We do so much work with nothing but passion, every single person puts a lot of effort into the process of creating and publishing articles to a point that it seems effortless. Willem: I feel that the European Citizens’ Initiative on civic education could be one of the key topics of AEGEE in the coming year. The ECI has to be insightful and explanatory to European Citizens without being indoctrinating. People need to be able to understand how our political system works and how they can participate, without feeling that they have to participate or have to agree with the workings of the system. Democracy means a rule not only of the people, but also by the people, and through civic education people should be able to understand the system, so as to improve it to their preferences, without quitting the system. AEGEE can help walk this narrow line of explaining the system to people, without forcing it onto them. If it can help people voluntarily come to the conclusion that changing the system, the EU, through meetings, compromises and negotiations, and without seceding from the union or even the single market, is better for everyone. Willem: To have loads of fun with the rest of the team at The AEGEEan, doing better than I did in my first six months as Editor-in-Chief, travel, and to direct the annual play that I wrote for AEGEE-Nijmegen. We are going to get a nice group together and steal the show in late June. If you can come, please do: it’s a comedy set during a Summer University. Willem: While there are many terrific New Year’s events in Europe that anyone would be mad not to attend, I still have chosen to go home to my parents and celebrate the New Year together. Laura Pérez: Definitely being elected president of my local. It’s so hard to describe the feeling that I had, but being in this position it’s something I had been thinking about for a while. And now, even though I have more responsibilities and work load than ever, I don’t regret it at all. Laura: I would say Agora Bergamo, and especially the last plenary with the results of the elections of new CD. I even got to take minutes for a while since Lia, the secretary of the Agora, was candidating and this made it even more exciting. Now after Agora Chisinau I would also include the “Jorge vs. Schultze” moment in this category. Laura: For me former Network Commission Melissa Carreres was one of the most influential members this year. When she asked me a few months ago if I wanted to join her subcom team she taught me so much and I’ve had some of the best moments thanks to her in our two NWM and one Renove working together. I also have to thank the super outstanding former CD ladies: Svenja Van der Tol and Maryana Semenyak. Both of them contributed so much to AEGEE this past year; they took the time to teach me some stuff along the way and allowed me to follow them around the CD house. Laura: Both AEGEE-Bergamo and AEGEE-Chisinau deserve lots of recognition for organizing great Agorae. 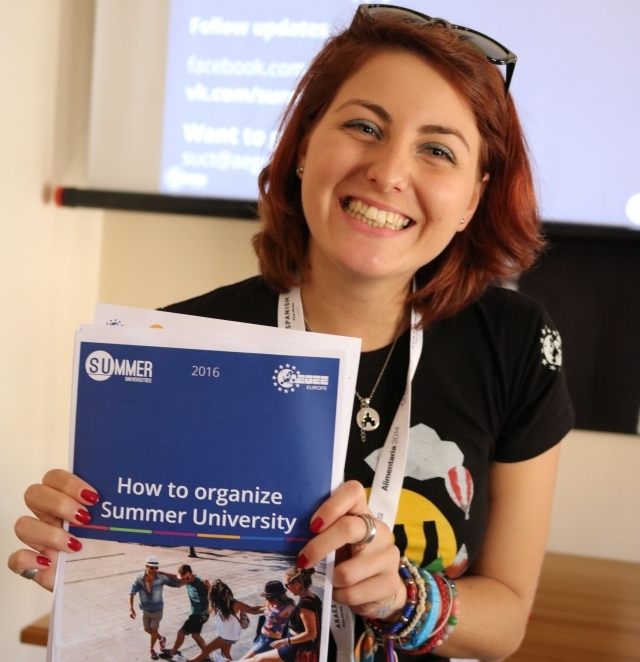 Laura: The Civic Education Working group has been very active and working a lot, delivering workshops in almost every event and organizing the content of a very good SU, I’m sure they will achieve many things with the new Strategic Plan next year. Can I also mention SUCT here? In my opinion they did an excellent job with the SU project including the “SU that matters”. And their new webpage and PR materials were incredibly good! Laura: Civic education yet again and Equal Rights, that will gather so many interested AEGEEans and will count on support from both Gender Equality and LGBT+ interest groups. Laura: I will continue as president and also as subcommissioner. After both my terms finish I have no idea what will follow. So far I can’t wait for Agora Enschede. Agorae are just my favourite event ever. 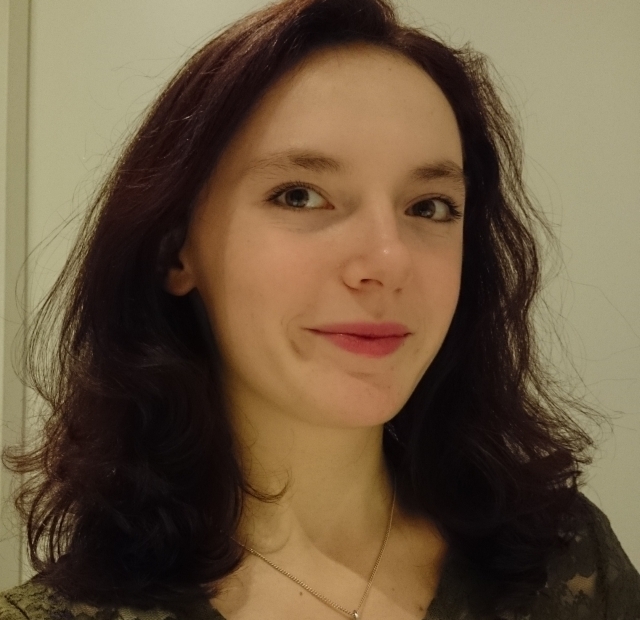 Laura: I will attend AEGEE-Krakow’s 25th birthday party but only for one day, so New Year I will probably spend in Poznan with some friends.